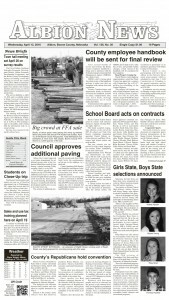 Boone Central Schools construction was an on-going top story of 2016. Building projects highlighted another year of progress for Albion and the Boone County area through 2016. 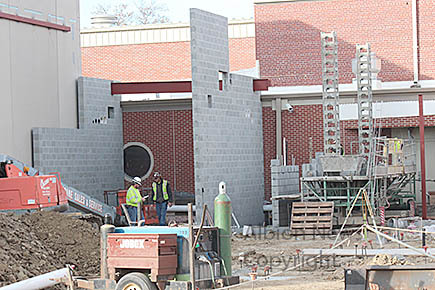 After approval of a bond issue in May of 2015, the Boone Central building project started in the spring of 2016. Other projects getting underway during the first half of the year were the new Pillen Family Farms feed mill northwest of Albion, and the new wing for Good Samaritan Society Wolf Home. It was another active year for businesses. A new Hometown Shopko store opened in place of the former Alco store. The former SourceGas facilities in Albion were acquired by Black Hills Energy, and several new businesses opened. Abundant rains led to a successful growing season, but commodity prices remained low. See the review of Albion News top local stories from the first six months of 2016 in our Print and E-editions.